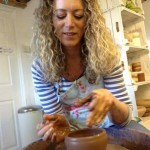 Eastnor Pottery isn’t just for kids! We have a lots of fun, inspirational and creative things for young people and grown-ups. 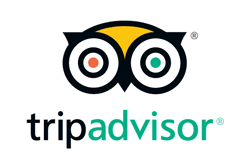 These links tell you more about what we offer, or let us know if you want something different! 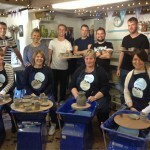 Potters wheel courses – Create and relax in rural tranquility. The perfect environment to unwind, learn a new skill and discover hidden talents. 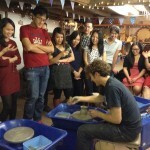 Potter’s wheel taster – Short sessions designed for couples and individuals seeking a creative activity or wanting to strike ‘making pottery’ off their bucket list. Hen Parties – Looking for a totally memorable and unique hen party experience? 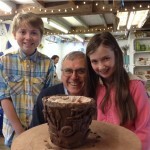 Relax and have fun in our studio or fabulous Potting Tent marquee on the Pottery lawn. 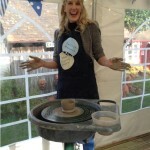 Large groups and special occasions – Clay modelling and potter’s wheel projects for a creative and fun party or group activity. 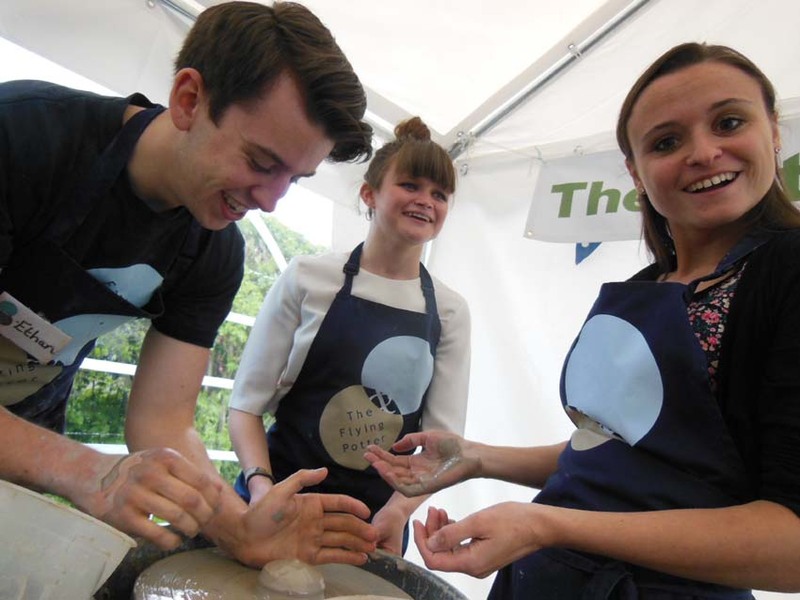 Make pots on the potter’s wheel, create clay sculpture and produce personalised arty-facts. Perfect for inter generational family gatherings. Family Drop-in – 1.5 hr sessions designed for families and individuals. 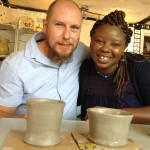 Simply contact the Pottery to book a session, turn-up & choose from a menu of projects and techniques. We are open Tuesday – Saturday 10am – 4pm and prices range £5 – £40 per head. 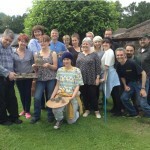 Teambuilding – A fantastic teambuilding exercise exploring collaboration and communication. Participants work together to produce a ceramic sculpture or wall panel. Festivals and Events – Sessions designed for all ages and abilities, from 8 months to 80 years. Large participant numbers a specialty. 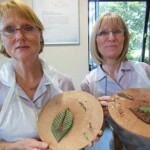 Community Workshops – The therapeutic benefits of working with clay are considerable and well documented. We work with a wide variety of arts organisations and community groups, delivering accessible, fun and quality workshops. Away Days – A creative opportunity to interact and connect with colleagues outside of the workplace and a great way to reward your employees.